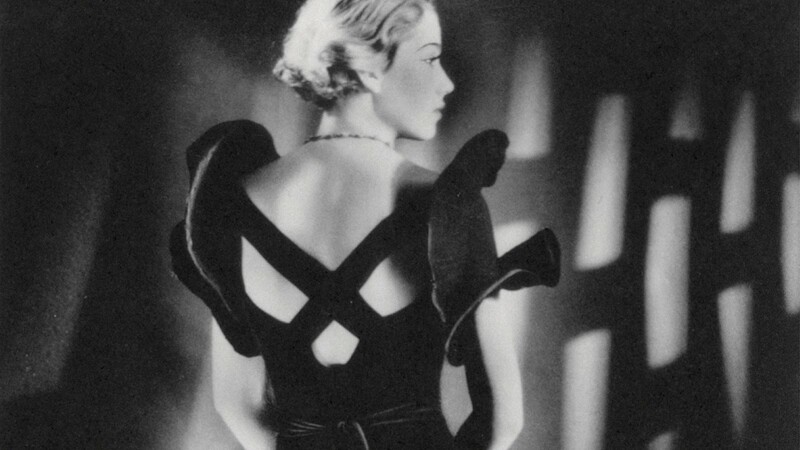 The modernised metropolis of 1920s Berlin held promises of glittering prosperity for young women like the Jewish fashion photographer, Yva – whose artistic drive and singular vision saw those opportunities realised before the rise of fascism led to her tragic demise. In central Europe radical avant-garde movements such as constructivism, new objectivity and Bauhaus created new visual dynamism in contemporary culture, mirroring the social and economic advancement of the industrialised world. Moholy Nagy, Man Ray and Lee Miller are three of many names synonymous with modernist photography of the 1920s and 30s – but there is one name often missed from the history books. For 13 years, Studio Yva – where Helmut Newton worked as an apprentice from 1936-38 – was one of the most successful photographic studios in Weimar Berlin and Yva was the visionary who ran it. As testament to her head for business, and prophetic to contemporary art debates of authorship, was the case of her Self Portrait of the Photographer. 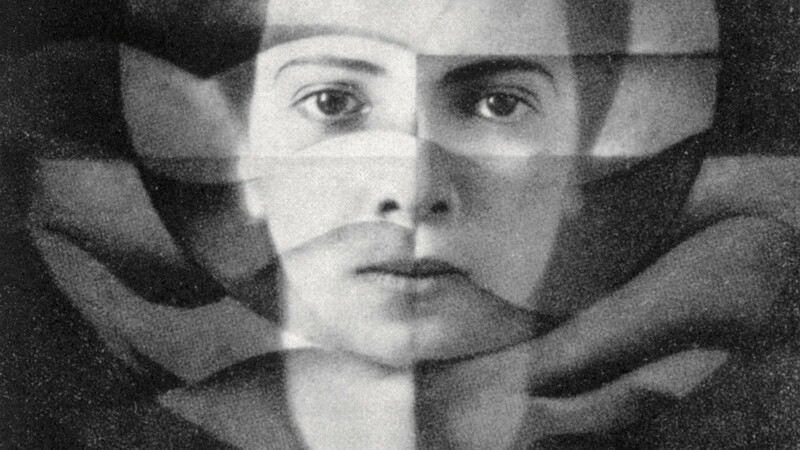 In this montage of two photographs, Hajek-Halke’s painting dissects Yva’s androgynous image into tonal facets, imposing a subtle “Y” shape over her face. The image was published in Das Magazin with all credit and payment going to Yva. Hajek-Halke took Yva to court and lost. In an act of retaliation, he paid for his legal fees with money earned from a fotoplakstik montage he had produced and published, featuring his court order and an image of himself tearing at his hair. Her experimental period and relationship with Hajek-Halke over, Yva guided her studio towards illustrative work for magazines and “Werbekunst” (commercial art). However, she was by no means abandoning her artistic endeavours, for this was a time when art for advertising didn’t mean selling out. She, like other modernists, saw mass production as a tool to disseminate art to the masses. By employing oblique perspectives, dramatic light and shadow and clean geometric lines to her commissioned work, she brought her modernist aesthetic to the commercial realm. In advance of the post-WWll re-domestication of women, Yva, through her portrayal of glamour combined with her penchant for androgyny, constructed a new concept of femininity – as an abstract, multi-faceted quality rather than a single maledictated ideal. The press couldn’t get enough of Yva and embraced her experimental approach, pioneering the photo-essay (a comic-strip-style picture story, Yva’s were usually of a romantic theme) and producing special-edition projects such as her artist’s books, 500 Women of Your Choice and 500 Men of Your Choice for UHU magazine. Interestingly, for the latter, Yva posed as four of the men herself. However, for Yva, the subject never outweighed the power of photography itself. In the introduction catalogue for her first solo exhibition at the Neumann-Nierendorf gallery in 1927, she wrote, “What matters to me in my pictures is to free the intrinsic essence of photography from all alien embellishments, and, at the same time, to utilise the artistic possibilities of pure photography more fully”, illustrating her sincere respect and passion for her art. Yva was primarily fascinated with the mechanics and technology of photography. She treated each product advertisement as an exercise in geometric composition and detail. Hands wearing rings and legs sporting stockings became still-lifes – with Yva working the product to emphasise its formal aspects, textures, surfaces and shape with crisp clarity and precision. In 1933, as the National Socialist Party rose to power, they compiled a register of every foreign and Jewish photographer in the city. Despite her huge hand in shaping Berlin’s cultural identity, Yva was blacklisted. Friends and family urged her to emigrate, but in her typically single-minded manner, she refused. Instead, she moved studios across the city to a huge 14-room apartment with balconies and dramatic staircases – the perfect setting for the fashion shoots she was determined to continue with. Soon after this move, she married Alfred Simon, who became the studio’s accounts manager. As rules around the employment of Jews tightened and the pressure on the city and its companies to “Aryanise” was magnified, Yva signed over all the rights of the studio to her art historian friend Charlotte Wiedler, continuing to work behind the scenes, and after hours, with the young Helmut Newton. Sent by his parents to work under Yva at the age of 16, Newton was awestruck. She became his idol. On the fifth floor, Studio Yva may have been out of reach from the mindless devastation that was Kristallnacht (“The night of broken glass” saw thousands of Jewish businesses and places of worship destroyed in a vicious pogrom that acted as a precursor to the holocaust). But, unfortunately, it was within grasp of the new regime. In 1936, Ullstein, the publishers of so many of the magazines that commissioned Yva, was forced to sell to Cautio GmbH, a Nazi organisation that used government money to buy out private companies. Renamed Deutsche Verlag, every Jewish photographer’s name was subsequently erased from the publication’s archives, making those photographs government property and devoid of any royalty agreement. They could only keep the wolves from the door for so long. Studio Yva finally closed its doors in 1938. Her husband Alfred became a road sweeper and, like a cruel taunt, Yva was made to take a different kind of photograph – as an x-ray technician in a Jewish hospital. Records of the lives of Yva and Simon are scarce from this point, although it seems they tried to leave Germany. Presumably in preparation for emigration, it is recorded that Yva sent dozens of boxes containing her entire negatives archive to the port of Hamburg, where they were destroyed in an air-raid. Soon after this, emigration from Germany was made illegal for Jews. In 1942, Yva and Simon were arrested by the Gestapo, forced to hand over their assets (worth 1.5million DM) and deported to Majdanek, Poland. It is assumed that they were murdered there. Yva has long been confined to specialist journals or a line mention in any one of Helmut Newton’s obituaries that followed his death in 2004, aged 83. In addition to the catastrophic loss of her photographic archives, Yva’s work was so broad that she sat on the boundaries of fashion photography, commercial art and the avant-garde - making categorisation difficult. She was also independent of the Bauhaus movement or any other artistic faction which would have given her work more exposure.